Yes, population growth. That omnipresent elephant in the room needs to be considered if we’re ever going to keep up with a food supply chain that still has a number of chinks throughout it. To put this into perspective, The Food and Agriculture Organisation of the United Nations (FAO) found that by 2030, we will need to increase food production by up to 70% in order to feed a global population projected at 8.3 billion. This gap continues to widen every minute of every day (as illuminated in the Hunter via the Baby Bulb), so time is of the essence when it comes to reassessing a food system that continues to fall alarmingly behind. 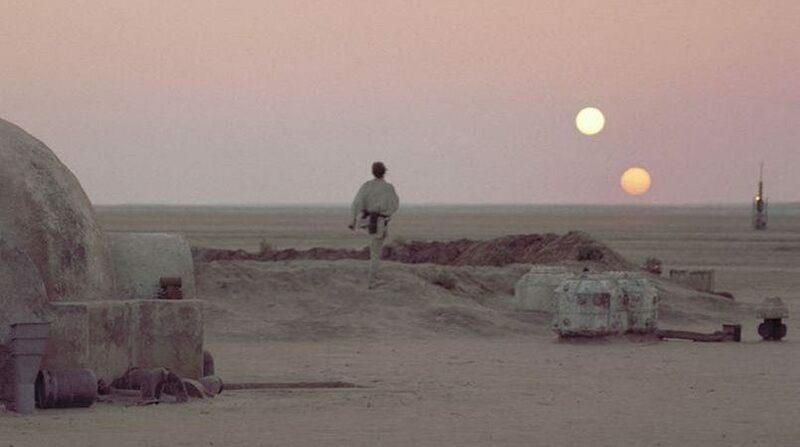 Fortunately for humankind, all is not lost. As always, this is thanks to the boundless possibilities of emerging technologies, and within this instance, we’re looking at another broad and buzzing subject: AgTech. Perhaps more traditionally known by the less buzz-worthy label of ‘precision agriculture’, AgTech more broadly describes the implemented agricultural technologies intended to increase system efficiencies and yield capabilities across all components of commercial food production. If ever there were an industry with a prevailing hunger for the monitoring and management efficiencies realised through IoT, it’s the business of farming. The next part of this story is is even more encouraging; Australia is a golden testing ground for these emerging technologies. We don't need to dream; this sunburnt country is a hotbed for smart agriculture. I needn’t have to tell you that our farmers have it tough. Even in the most ideal conditions, Australia’s distinctly arid environment poses a wealth of hurdles for effective crop and stock production. Of course, as we’ve witnessed over recent decades, these challenging ideals have only been spun on their head through climate change. Predictability is something of folklore for the Aussie farmer trying to keep their head above water (and with such little rainfall, dirt) in Australia’s climate extremes. It comes as no surprise then, knowing that Australian farmers are some of the most innovative and often engineer-minded people on the planet. With unique problems comes intelligently simple solutions, and agriculture is a hotbed for both. What might surprise you on the other hand, is the receptiveness our farmers have towards AgTech and its proposed solutions. Take our client South West Stone for example. 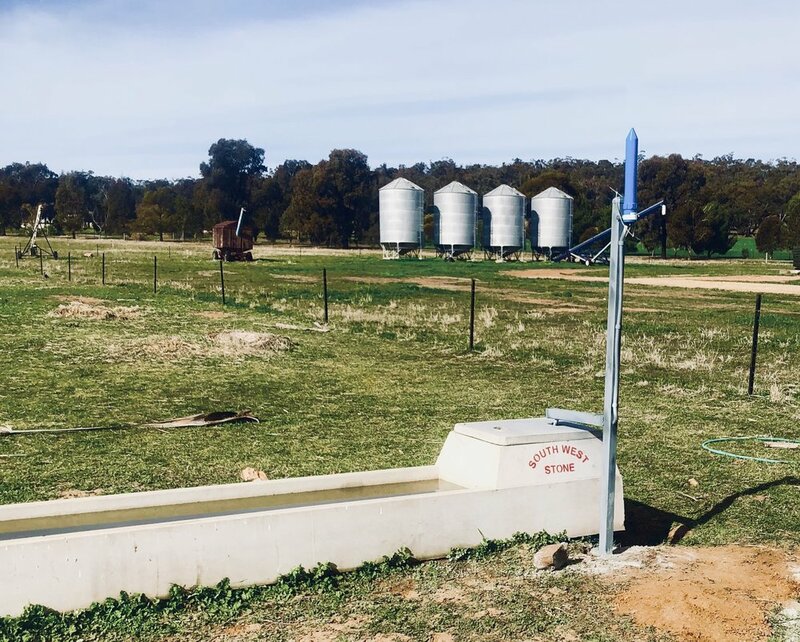 Although their quality concrete troughs were doing excellent business, their customers - primarily Australian cattle farmers - were found to be struggling to keep an eye on the water levels and overall conditions of their stock troughs. This often meant that the farmers were too concerned about the state of their troughs to leave the farm, significantly inhibiting their freedom and peace of mind. When South West Stone engaged NewieVentures to find a simple and easily accessible solution to the issue, a IoT-enabled trough sensor was developed which meant an attachable device could monitor the troughs and emit the data right into the hand (or phone if we’re being technical) of the farmer. Through a willingness to not over-complicate a farmer’s daily problem, a trusted family business and some smart engineering, we’ve been able to free some of Australia’s time-poor farmers from their own farm constraints. No, this farmer isn't letting off a small rocket - that little blue spaceship looking device is keeping an eye on the trough so he doesn't have to. Full disclosure: we didn’t just use this example to plug ourselves. The reason our client’s example is so relevant here is because despite our farmers’ wealth of problems and equal amounts of enthusiasm for tech-enabled solutions, finding the middle, South West Stone-sized piece of the puzzle isn’t so easy to come across. To ask the Australian egg farmer’s question of what came first: the research or the development - it appears as if we persist to only ever get halfway. Although the government is investing almost half a billion dollars into rural R&D each year, the commercial viability of this research is yet to be realised; especially on the scale that it needs to be to ensure meaningful and sustainable implementation. At the crux of it all, innovation is risky. Choosing to venture into unfamiliar markets and untouched technologies doesn’t only disrupt business models, it also impacts the market, and a return on investment isn’t always apparent. Research is doing well to get us excited about the prospective possibilities of technology, but without mud on the researcher’s boots - and more importantly, mud on their smart devices - it throws into question why all the time and money was spent. Don't put the cart before the horse. How can research be developed and further implemented commercially? Here is one last depressing statistic that actually puts the UN’s earlier food production forecast into question: a study by Germany’s Postdam Institute found that in 2010, the world in fact produced 20% more food than was needed to feed the entire global population. According to their findings, by 2050 this surplus will only continue to increase at a substantial rate. The key cause of this discrepancy lies in the absence of a globally efficient food distribution system. Alike the food production system, food distribution is another process that must be made more efficient and sustainable through intelligent engineering and technologies. The good news from all of this? Well, it looks as if we won’t have to resort to 3D printed meals just yet. The problems within our global food system are significant but not entrenched. Through collaborative risk sharing and a willingness to do something different, from the perspective of start-up, family-run, corporate, or anything in between, the future of our food mightn’t have to be so hard to swallow after all. Newer PostPost-pitch exhaustion: do our big ideas ever become a reality? Older PostAustralia’s STEM education: student’s friend or government trend?